Elected in 2015 as the 84th Mayor of Augusta, Georgia, Hardie Davis brings a solid track record of leadership, hard work, and service to the people of his city and state. 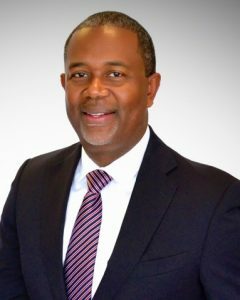 The first African-American mayor following the consolidation of the City of Augusta and Richmond County, Mayor Davis envisions Augusta as a place of opportunity and a community of choice for all people. Born, raised, and educated in the state of Georgia, Hardie holds a Bachelor of Science degree in electrical engineering from the Georgia Institute of Technology and a Doctor of Ministry degree from the Christian Life School of Theology. While attending college at Georgia Tech he began teaching Bible study, which prepared him to become founder and senior pastor of Abundant Life Worship Center in Augusta, Georgia. Following a successful 22 year career as a systems, automation and controls engineer, Hardie began his journey into public service as a member of the State House of Representatives in 2006. After serving two dutiful terms as State Representative for Georgia’s 122nd District, he was elected to assume a vacated seat in the Georgia Senate during a 2010 special election. During his time at the Georgia Legislature, Hardie contributed to the passing of more than 1500 pieces of legislation, which today stand as Georgia law. Mayor Davis’ leadership extends beyond his public office to organizations and institutions at the state and national levels. He is both a graduate and past Board member of Leadership Georgia, a member of the Board of Trustees for the University Health Care Foundation, former Board member for Leadership Augusta, and founder of the New Leaders Council – Augusta Chapter. In addition to being known as “Mayor Davis” by Augustans and “Pastor Davis” by members of his congregation, he is the son of Hardie and Delois Davis, husband to Evett Davis, and father of Benjamin Joshua Davis.